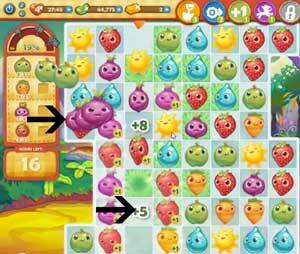 These Farm Heroes level 161 cheats and tips will help you beat level 161 of Farm Heroes. 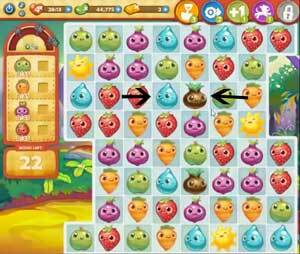 The objective of Farm Heroes level 161 is to collect 45 carrots, 45 onions, and 45 strawberries in 23 moves. Level 161 Cheat #1: Grow your own grass! In this level you are now able to promote grass growth. By matching a grass sead with a water drop you can instantly grow grass which increases your fruit and veggie value. Because you know have the ability to grow grass any crop that lands in the grass will be happy, the more happy crops the high points you will get when combining them. 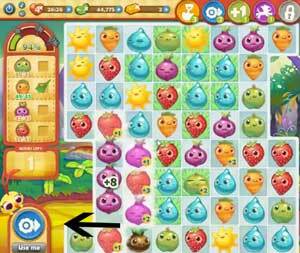 The crops that will give you extra points have a small number in there right corner, combine those crops and receive the maximum amount of points for a combo. In Farm Heroes Saga level 161 you are given one tractor booster, this can be used for removing entire rows of crops in one swift move. This booster should be used only at the very beginning or very end of the level.